I am a pretty big photo person. Not necessarily of me but I love to take photos; of food, places, people and sometimes of nothing in particular. I think it is an important thing to find beauty around you and often it’s completely in the eye of the beholder. It is everywhere, you just have to really open your eyes to see it. So when I ‘snap chatted’ this bare photo of me in the bath to my cousin, who was complaining about looking horrible, it was a ‘well I’m naked with smudged make up, I’m sure you’re looking beautiful’ kind of moment. Much to my surprise, her response was, ‘this photo is gorgeous, natural beauty is wonderful’ it sorta took me by surprise. So as much as I find many faults with it, it is natural and it is me. I make every effort to love myself, not to be vain, but to be happy in my skin. I have come to realise that you have to love your imperfections, because they are beautiful. 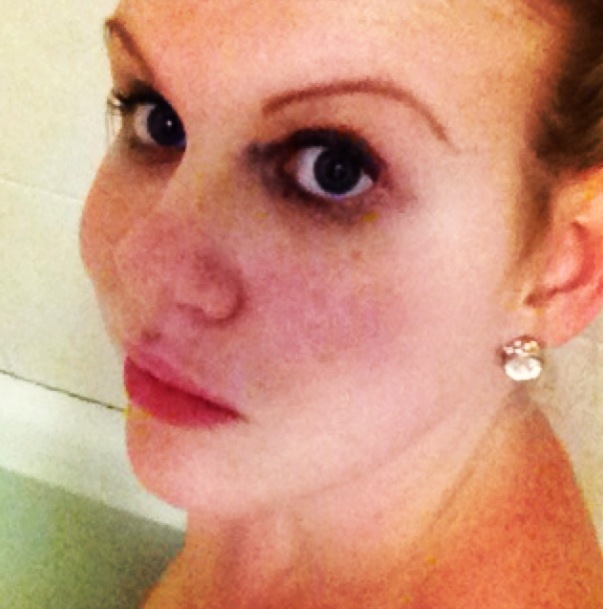 This entry was posted in Home and tagged bare, bath, beauty, happy, imperfections, myself, natural on June 18, 2013 by teganjustice.